Xposed framework is probably one of the most loved application in the newbie modder community. It allows the users to add features not currently present on their devices without the need to flash a custom ROM thereby allowing you the ability to mix and match the best features from the best ROMS and use them on your personal device. 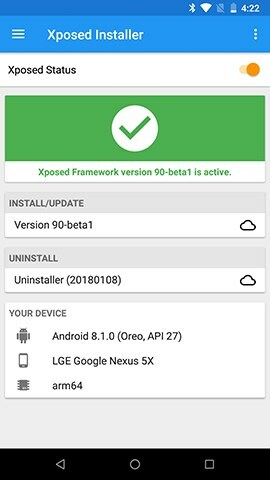 If you have been a user of Xposed and have recently upgraded your device you probably know that Xposed wasn’t available for Oreo devices initially but you can now download and install Xposed on your device running Android Oreo 8.0 and 8.1. 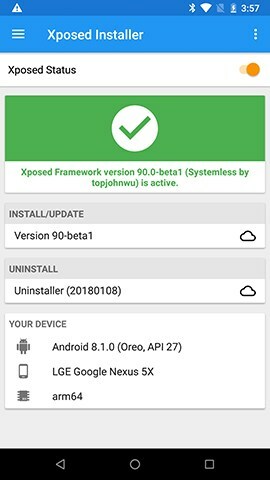 You need to have a rooted device to install Xposed Framework on your device running Android 8.0 or 8.1 Oreo. Do note that this can brick your device if not executed correctly and bricked devices are not covered under warranty. With that out of the way let’s start with some prerequisites, you will need these things in order to run Xposed on your device running Oreo. 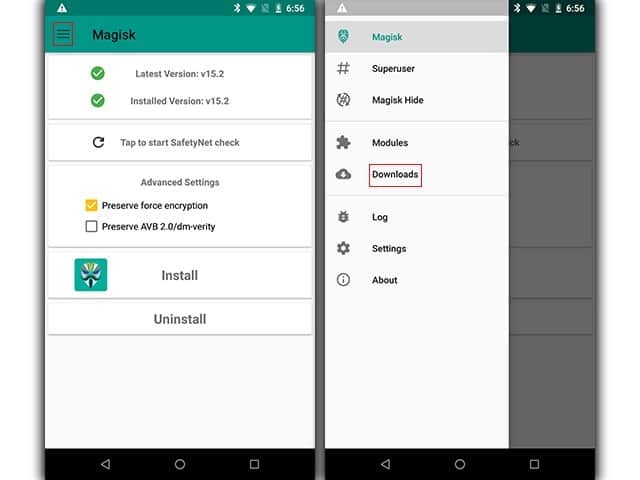 If you have rooted the device with SuperSu then you should follow this step, If you are using Magisk read through to the next part. Step 1 – Download everything mentioned above and copy it to your device preferably to the root directory or in a dedicated folder. STEP 2 – Install Xposed installer to your device. STEP 3 – Power off the device and get into recovery mode. If done correctly you must have entered into fastboot mode, here use the volume rockers to navigate to recovery and press the power button to select. 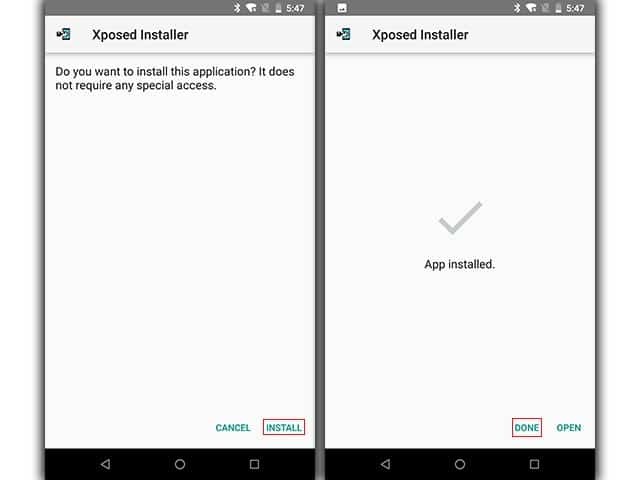 STEP 7 – If you followed all the steps correctly, When you open the Xposed Installer app there would be a big green tick mark. 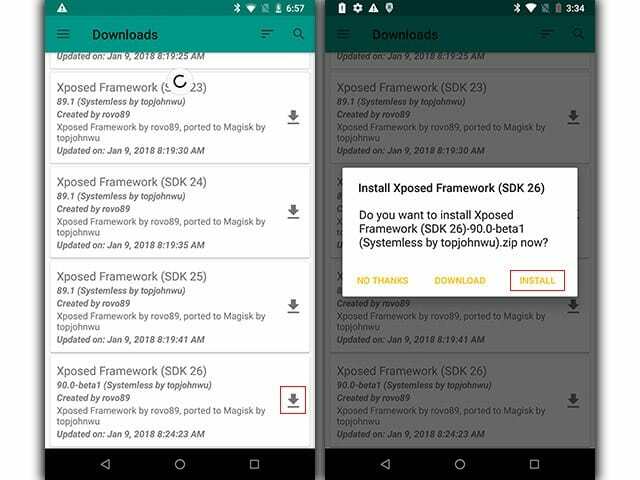 STEP 3 – Scroll down until you find Xposed Framework SDK 26 or 27 depending on whether you’re running Android 8.0 or 8.1. Do keep in mind SDK 26 is 8.0 and 27 is 8.1. STEP 4 – Click the download icon beside the module and pop up should appear, click install on the pop up. STEP 5 – The app should get downloaded and installed on the device, once completed Reboot the device. 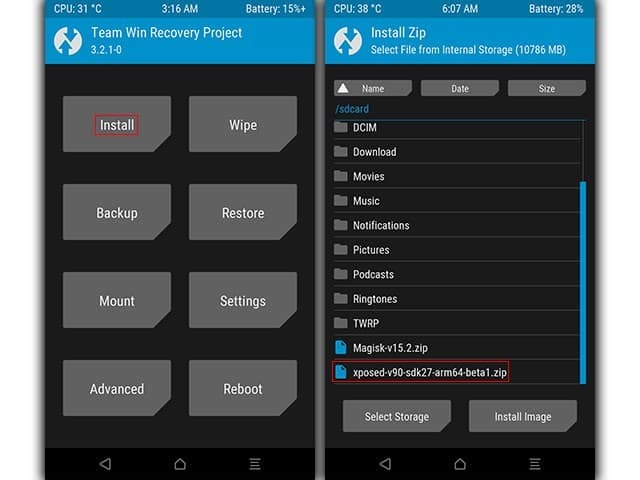 STEP 6 – Once you have rebooted the device, find the modified Xposed app on your device and install it. STEP 7 – Xposed should be installed on your device by now and should be working perfectly. Do note that both the Xposed apps are different and not inter compatible with the other method so make sure you use the correct installation process or Xposed won’t work on your device. 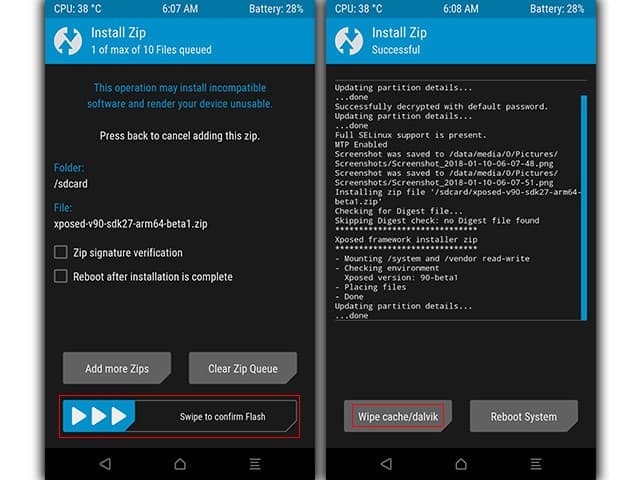 We hope this guide helped you in getting Xposed up and running on your device successfully. While the Developer says that Xposed is stable and can be used on Oreo you may face some trouble with certain incompatible modules which will hopefully be fixed in the future. Do let us know in the comments what modules are you most excited to use on your device running Android Oreo 8.0 and 8.1. A Masters in Business Administration student, Yash is working towards making it large in the Tech Blogosphere. With a knack for Mobile technologies, he loves to be in technology all throughout the day. An Avid Apple FanBoy and an Android loyalist a perfect oxymoron. Yash tries to live his life in the simplest of ways possible among the most complex of gadgets. Oh and did we mention, he is also a Google certified digital marketer.